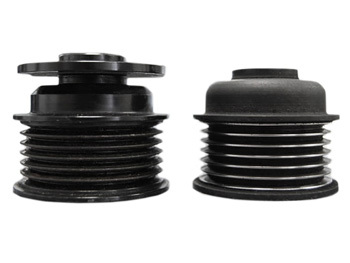 Our E46 M3 Underdrive Power Pulley Set adds 10 horsepower and 8 lb/ft of torque to the wheels. The set includes the P/S pulley, water pump pulley, alternator pulley, and belt. The pulleys are quality made from 6061 T6 Billet Aluminum and are anodized for durability. Fits all S54 applications including MCoupe and Roadster.